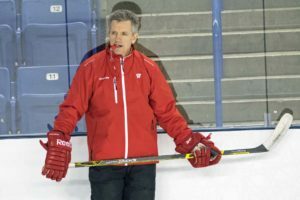 The Wisconsin women’s hockey team is picked to win the WCHA for the fourth-straight year. The Badgers earned 33 points and four first-place votes in a vote by the league’s coaches. Minnesota also received 33 points and three first-place votes, The two rivals battle it out on two separate occasions this season with a two-game series in Madison on Oct. 27-28 and another two-game series in Minneapolis on Jan. 18-19. Senior forwards Emily Clark and Annie Pankowski were named to the Preseason All-WCHA Team in addition to senior defenseman Mikaela Gardner. The WCHA poll and preseason honors announcement comes a day after UW checked in at No. 2 in the preseason USCHO.Com National Poll.